Students at San Diego High School were thrilled at the unexpected arrival of Oprah, Bill Gates, and Gates’ wife Melinda. 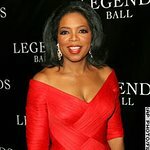 The visitors were there to film a future segment of “The Oprah Winfrey Show” about an $11 million donation in 2003 from the Bill and Melinda Gates Foundation. Three large high schools in the area received funds to assist in their efforts to increase the number of college-ready graduates, particularly among low-income and minority students. Some of the money was used to divide the San Diego High School into six smaller schools. Each of the smaller schools specializes in a particular field, such as business, international studies, media or science.